What can you do with a cloth? Well, what do you imagine? If you are a preschooler, there's no end to the possibilities. 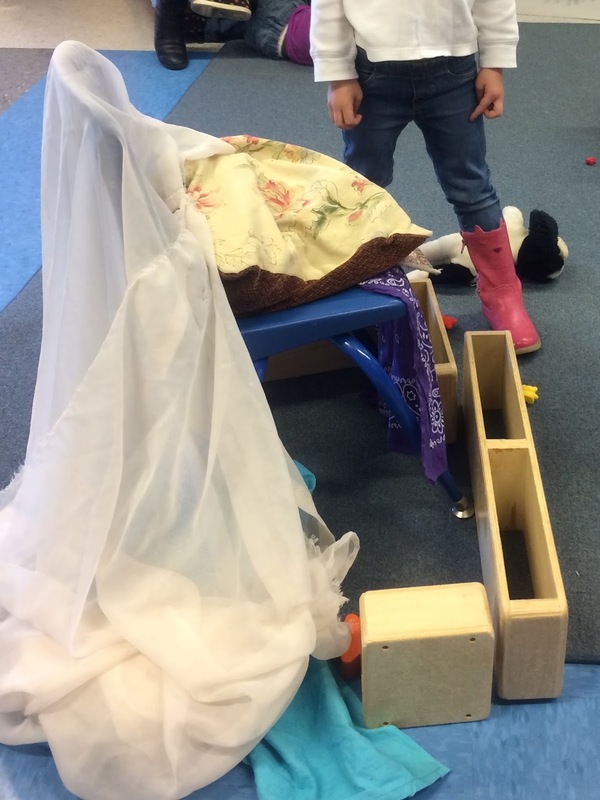 Why not make a fort? How about a cape for a superhero? Let's be robbers and bad guys. The baby needs to be swaddled in a blanket. The baby needs a crib! I'm making a bear cave. There are dolphins in the water. 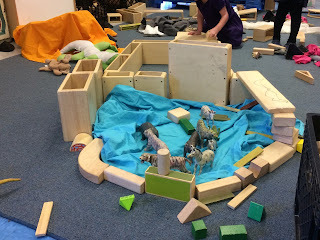 All the animals live in this part of the zoo. We could pretend they are rocks on a mountain, and go for a hike. You might slip and fall! A hospital bed, because I am sick. We can all have ballet clothes! Remember, at Halloween, there was a ghost? If you sit in the barber's chair, you need one of these. I'm going to be a firefighter. It could be like walls of a house. It might be the window, maybe the curtains. You have to come in this way. It is a very soft place. 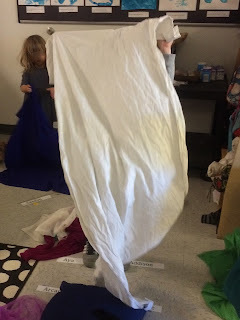 A few years ago, a family gifted me a large bag filled to the brim with cloths...a big bin of fabric, each piece measuring approximately 1 yard square. Honestly, there are probably three dozen pieces of fabric...I've never counted them, and I suppose I should, one day! I think these cloths might be my favorite element in my preschool classroom. They bring endless fun! We worked on this fabulous banner throughout the school. 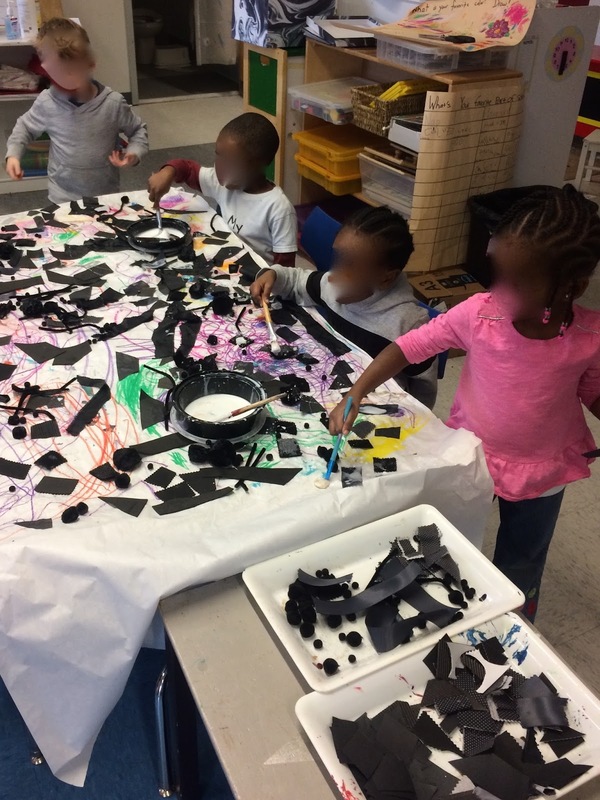 Each floor of our school had one word, painted large on a 6 foot by 30inch piece of black banner paper - and each floor was expected to interact with their one word in developmentally appropriate ways. Everyone had special silver and gold Sharpie markers! 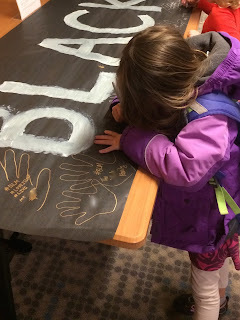 The early childhood classrooms (PreK-3 through Kindergarten) worked on the word "Black," and we invited families to to work with their child at morning drop-off or evening pickup; some signed their names, others drew handprints, and some adults left special messages. Our questions were simple - What is Black? What is special about Black? What do we love about Black? Upstairs, on our elementary floor, students in grades 1-4 worked on the word "Lives," thinking about What do we need to live? What makes us feel alive? What is most important to life? Finally, on the third floor, our middle schoolers (5th grade through 8th) reflected on the word "Matter," and wrote messages in response to such questions as What matters to me? How will I matter? How do my actions matter? How do I make change that matters? 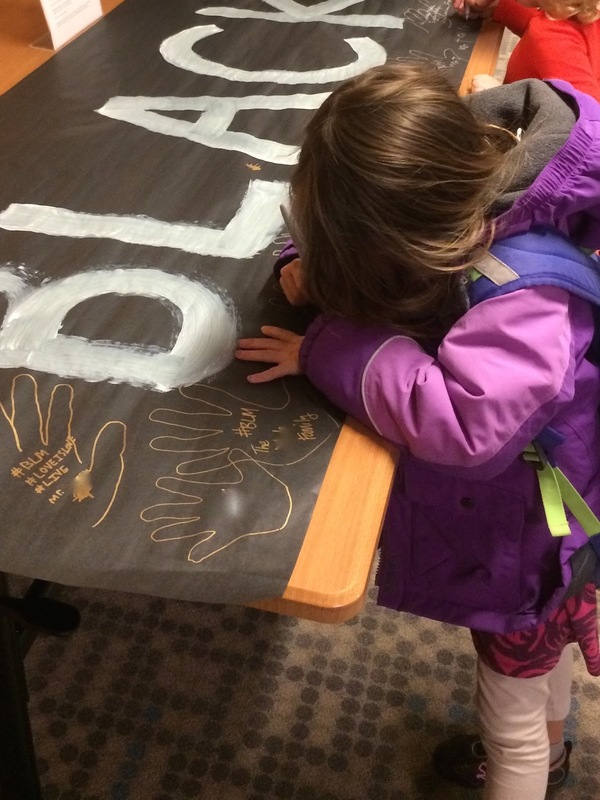 This afternoon, my colleague Monisha and I hung the three words together in our Commons, for everyone to see - creating the large vertical message Black Lives Matter. It is breathtaking. I am so proud of our school! Also hanging in our Commons are the 13 principles of the Black Lives Matter movement. Over the past several weeks, our middle schoolers prepared beautiful posters focusing on each of these. I am in awe of these students! They are our future. 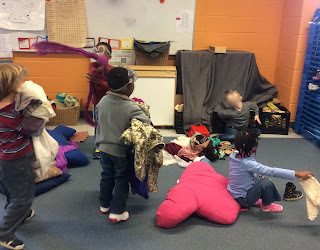 my classroom has been both ordinary and wonderful these past two days. As I said, we must be developmentally appropriate. 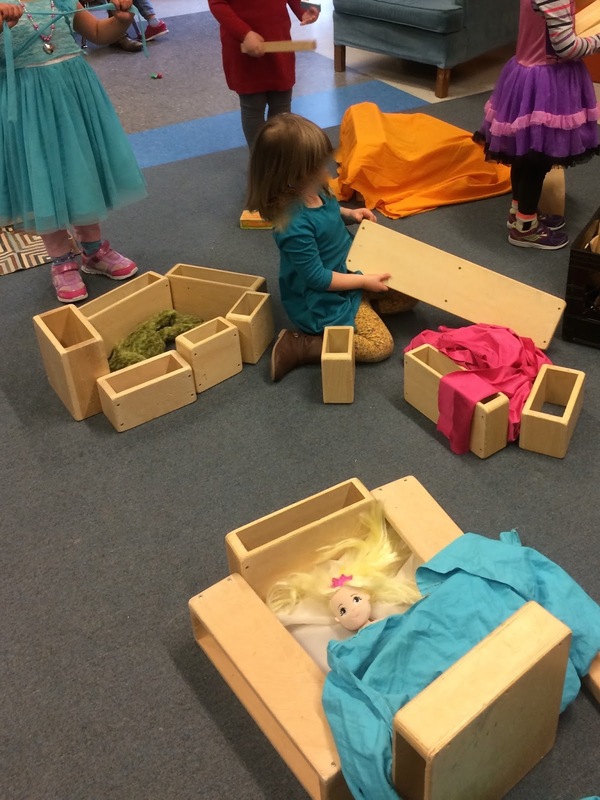 What have the preschoolers been up to? matched her/his skin, without correction by the teacher. What do we think new student is feeling? What is her face telling us? Think of things to say to a classmate when their face looks like that. Have you ever been to a new school? Have you ever been somewhere where kids were playing and you were not? 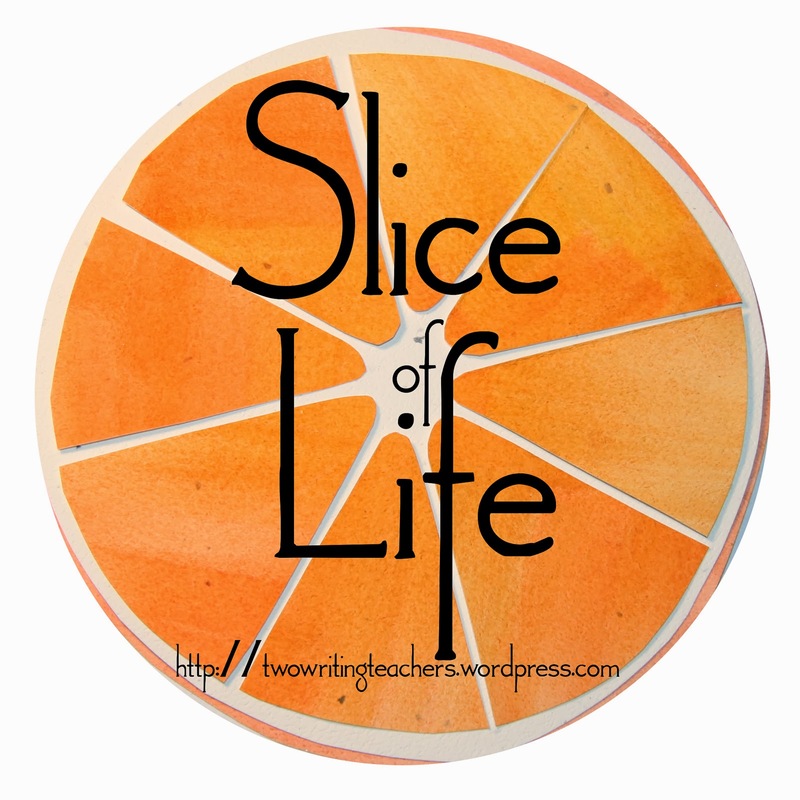 Is there anything the new student should say or do? 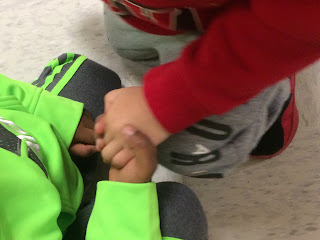 What are some kind and welcoming things we can say or do? I play with my brother. 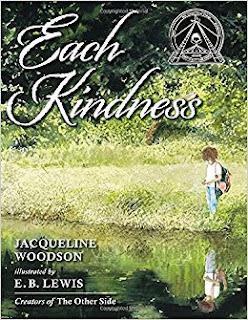 The kindness that I share. I like the new friend. Say hello to people when you go to school. If you share, that’s nice. 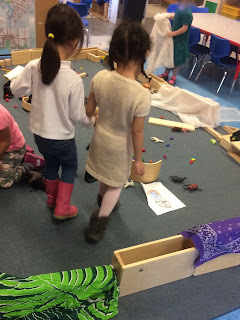 I shared my toys with others. I play with my brother a lot. I love to hug with my Mommy and Daddy. 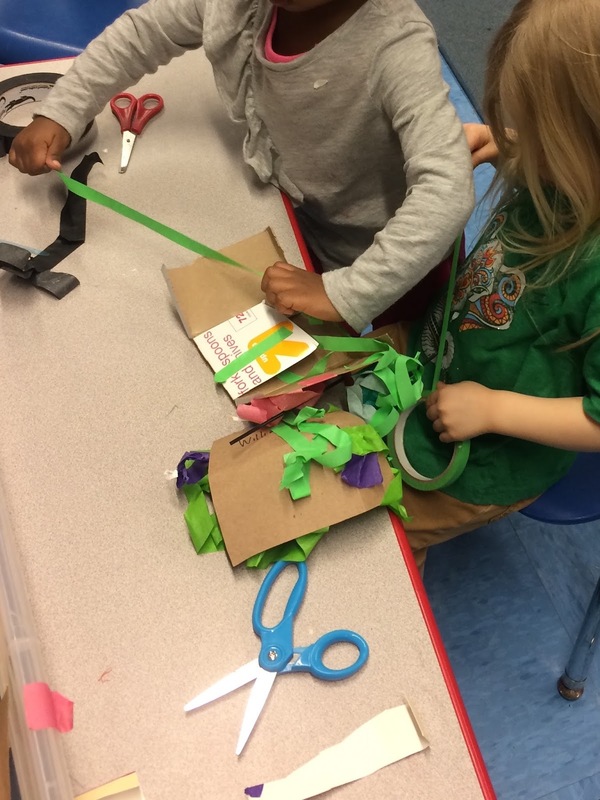 The world is in good hands with these sweet preschoolers! 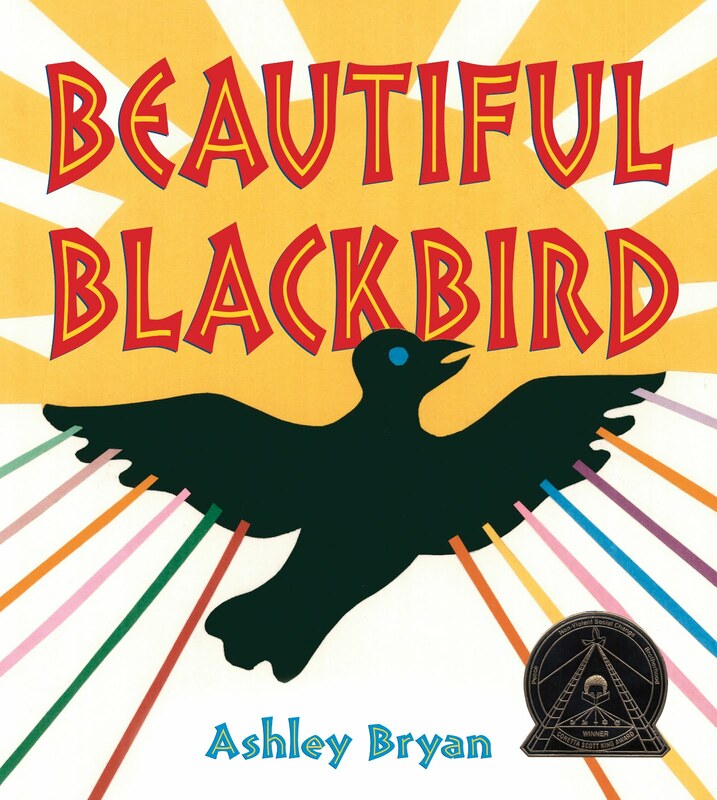 Today's special book was Beautiful Blackbird by Ashley Bryan. This book led to a "black is beautiful" mural...the preschoolers love a process art project, especially one that involves glue! 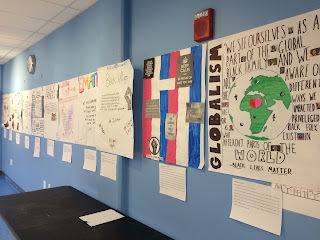 We have a white banner paper mural that students have painted with watercolors and oil pastels. Today, we began to cover it with all sorts of beautiful black materials, using glue – black construction paper, felt, sequins, pipe cleaners, tissue paper, fabric, pom poms...yes, a zillion different materials and textures for the children to explore. They are loving this! 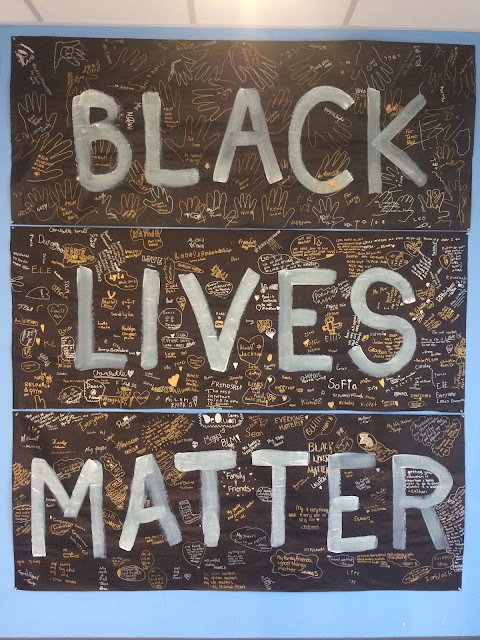 Only two days in, we are off to an amazing start on our Black Lives Matter Week of Action.